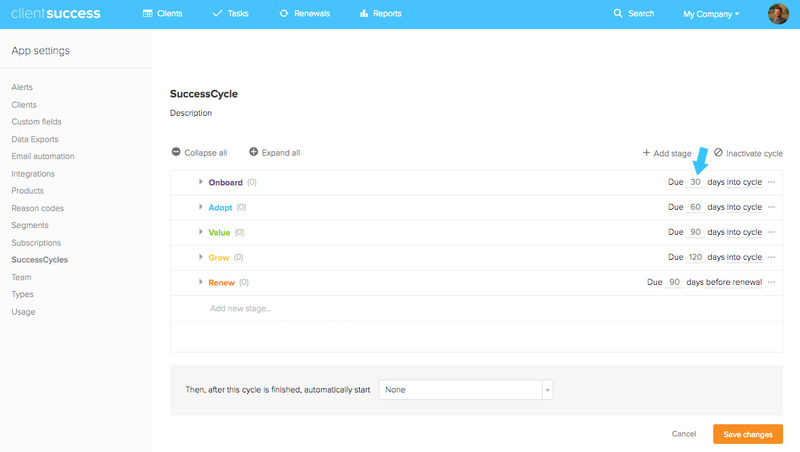 SuccessCycle due dates are assigned from your templates to a client the moment the cycle is assigned to the client. However, there are occasionally instances where you'd want to adjust this start date in order to reflect a more accurate timeline for the customers' journey. 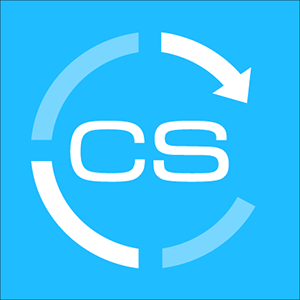 The recalculation is based on the “days due” time frame you can set up in the SuccessCycle templates from the Global Settings screen in ClientSuccess. You will need to have “days due” time frames set up on your SuccessCycle templates to benefit from the recalculation enhancement. Also, make sure that clients have active subscriptions and renewal end dates. By changing a client's Cycle start date, you can choose to recalculate the Stage due dates (as seen below). Why aren't some dates being recalculated? Keep in mind what's in your template - SuccessCycle templates can contain due date windows, relative to the cycle start date and the subscription renewal date. Renewal due dates would not change unless you've edited the subscription end date.